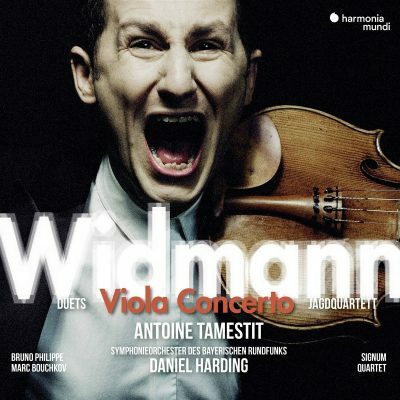 The brainchild of Antoine Tamestit, this recording stems from a longstanding collaboration with his recital partner, Jörg Widmann. Over the course of his new viola concerto, Widmann the composer lets his soloist move freely about the stage, producing fresh orchestral colours within a novel structure: combining humour with earnestness, ferocity with delicacy, Widmann’s unfailing sense of theatre serves to highlight the work’s haunting beauty. Whether embedded in the orchestral fabric or exploring the more intimate pieces on this programme, the violist comes out a hero, hands down!